If you’re looking for a recommendation on a general email service, in my opinion, there is no stronger contender than GMail. It also plays nicely with the other fantastic Google products like Calendar and Chat, as well as smartphones, so you can be sync’ed up all the time. In fact, their service is so good that many major universities and businesses are completely switching to a Google-managed solution for their email. If your personal email account does not end in @gmail.com, you’re sorely missing out. But, if your business or domain email is not being managed by Google, then you should contact us immediately. 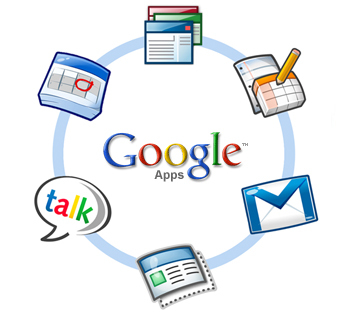 Google offers a free service called Google Apps, which creates a personal copy of GMail, Calendar, and Chat for your domain name. It provides all of the world-class features that Google offers to the public to you, on your domain, for FREE. If you don’t want to tackle this yourself, we can switch your email over to Google Apps with minimal downtime and at a very affordable price. After the one-time change-over, you’ll be set. After your migration is complete, you’ll have 24/7 access to your email from any device, and it will be accessible anywhere in the world. Great spam protection, search functions, security, complete integration with all of the other Google services, and you’ll be able to stop giving out your rusty @yahoo.com to your clients. Now, what are you waiting for!